All other levels by Jeff Tarpinian, Ninela Ivanova, Tim Rowe, Mia Amorbaila, Jana Slosarova, Amie Connelly, Alyssa Salzar, Romina Carp, Katia Dipper & Emily Vitian. 7:30 – 8:10pm FREE Bachata Class(3 levels) We are offering 40 min Bachata classes FREE. No need to book, simply turn up and get you complimentary Bachata class for free when you sign up for the Salsa classes. ??? 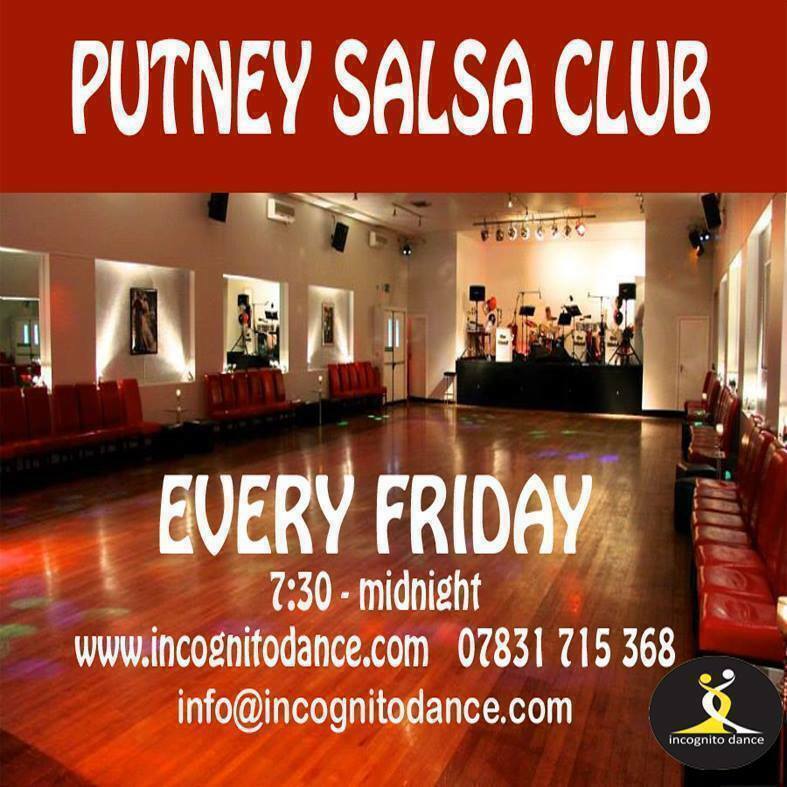 Join us every Friday at PUTNEY SALSA CLUB – voted West London Favourite Club. ??? We are open from 7pm. BACHATA class at 7:30, then SALSA classes from 815-9pm, dancing till 11:40 join us for a great night. ?Please forward this to all friends. Your support is appreciated.? PUTNEY SALSA CLUB, The Dance Lab, 63 Upper Richmond Road, Putney, SW15 2RD. Only 1 min walk from East Putney Station and 3 min walk from Putney East station. Free parking on main road.